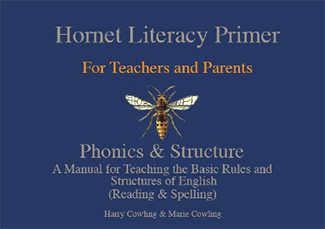 The Hornet provides an inexpensive and effective method for all schools to deal with their most challenged students. Who is it for? Anyone from 5 years upward or anyone with severe reading and spelling problems, including those diagnosed as dyslexic. 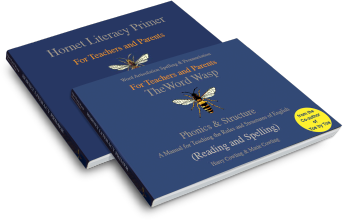 A Manual for Teaching the Basic Rules and Structures of English Reading and Spelling.